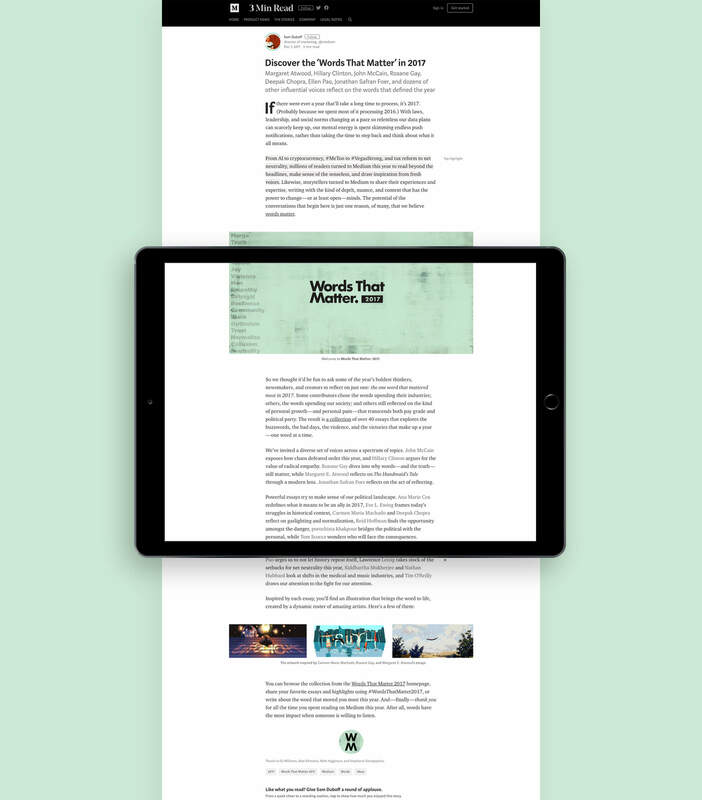 With thousands of new articles being uploaded daily, Medium needed a platform to introduce and elevate its most important writers by positioning their work toward a greater number of potential readers. 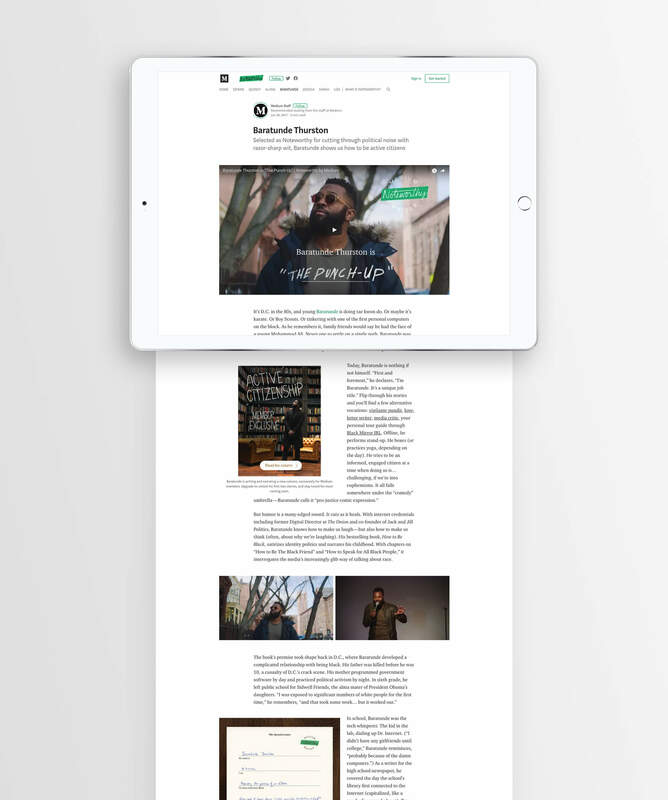 Standard Black created Noteworthy, a digital content program that acts as a writer hall of fame, and gives readers an insider’s look into the creative lives of top Medium writers through a series of engaging, profile-driven videos and imagery. This content was enhanced with a Standard Black–designed Noteworthy logo, as well as associated branding that defines the program’s visual identity. 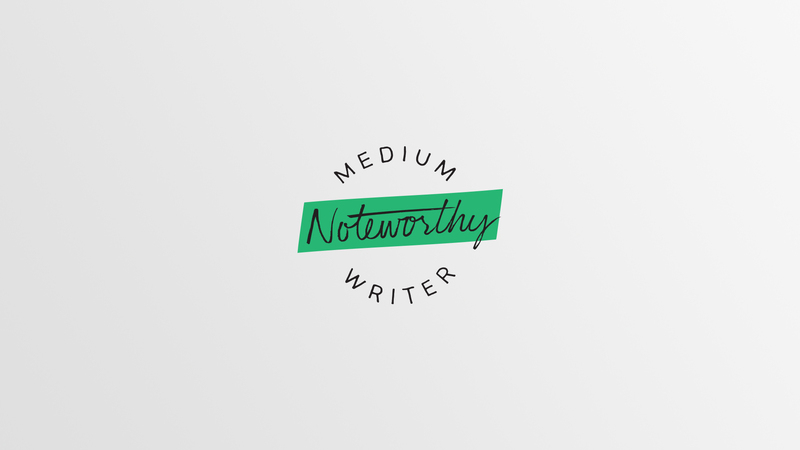 A dedicated digital experience within Medium was also developed to house and focus all Noteworthy content. Medium invited Standard Black to weigh in on the current cultural climate by crafting illustrated images for their “Words That Matter” initiative, capitalizing on our signature ability to elevate content through dynamic visuals. 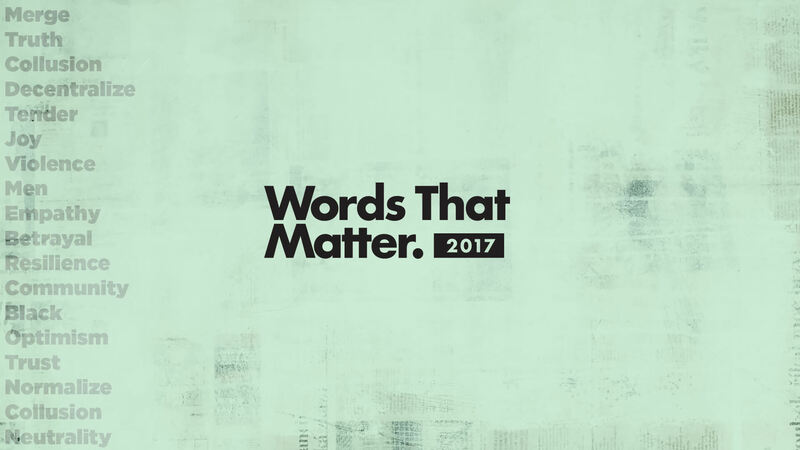 Medium asked 40 of the year’s biggest names—including Hillary Clinton, John McCain, and Margaret Atwood—to write an essay reflecting on the one word that mattered most in 2017. The platform then tapped Standard Black to iconize each word with an animated illustration. From chaos to crossroads to violence to truth, the buzzwords of 2017 lent themselves to vibrant storytelling. Standard Black elevated the cultural cachet of the project by producing witty, memorable, thought-provoking images that brought each iconic word to life.